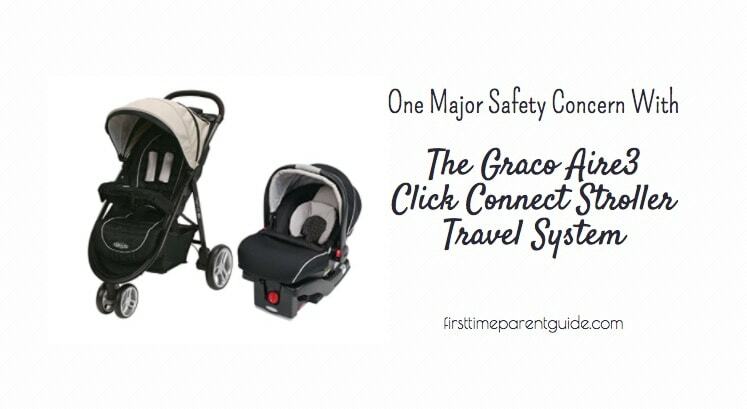 The Graco Modes Travel System Stroller comes with the Modes stroller and the Click Connect 35 infant seat. This travel system stroller is one of the least complained travel system strollers from Graco, at least as of writing this review. Every other Graco stroller I have checked out has major complaints about the wheels, the basket, and the brakes, but not the Modes Stroller. 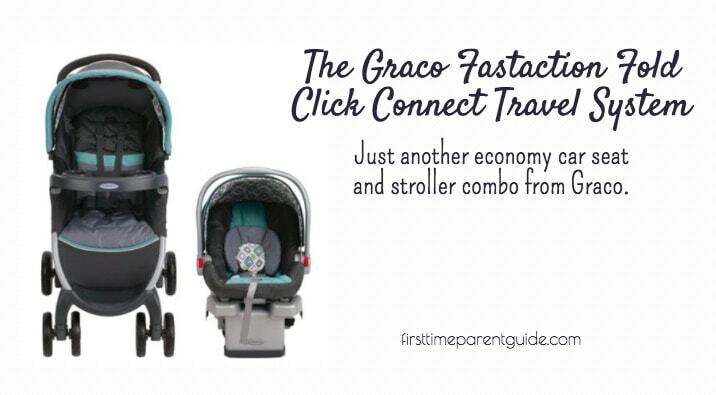 In a separate review, I have fully talked about the Graco Click Connect 35 infant seat. 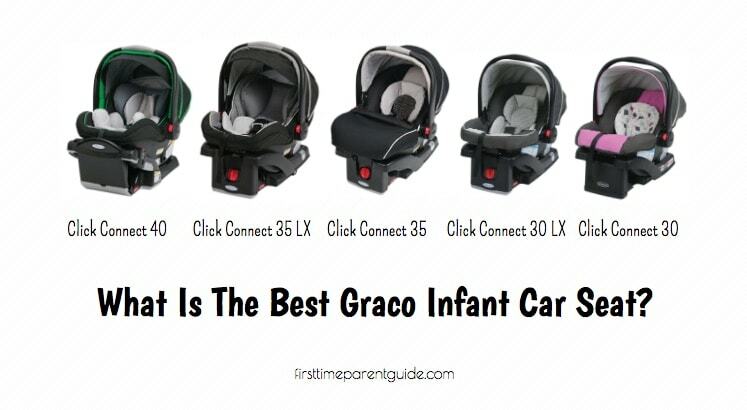 It’s not the best Graco infant car seat there is, so if you are considering to get this Modes stroller + Click Connect 35 car seat combo, better check out my comparison of all the Graco infant car seats first. 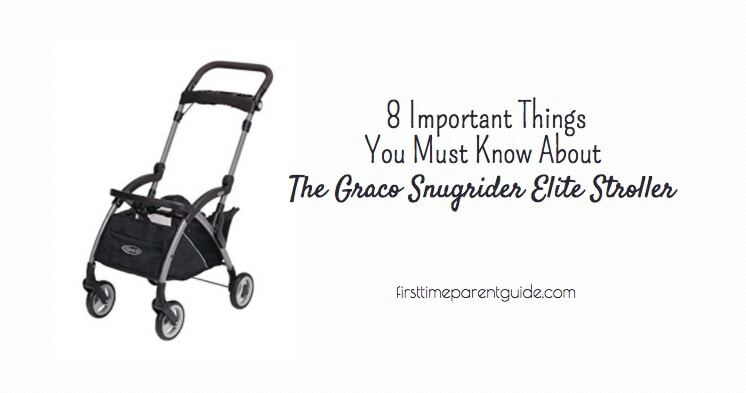 This review will mainly focus on the Graco modes stroller. The Graco Modes stroller is one of the few Graco strollers that would let you use the “chassis” only when your child is still a newborn and using a compatible infant car seat. This feature is mostly found on higher-end brands that cost twice like the Uppababy strollers and Peg Perego strollers. What you do is you remove the toddler seat (the main seat on the stroller), so that it is lighter to carry around. 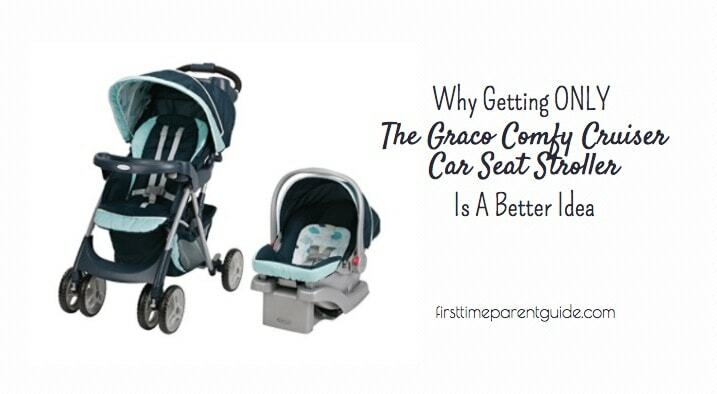 After which you can snap in the compatible Graco infant car seat into the stroller frame. The infant seat can either face you or the other direction. If you just taking a stroll in the neighborhood and doesn’t need a car seat, you can recline the toddler seat to almost flat. After that, you can raise the leg rest all the way up, access the flaps on both sides and secure them with a velcro to create a bassinet for your young baby. Once your child has outgrown the infant car seat, you can use the stroller seat until your child reaches 50 pounds. Like the infant seat, your child can either face you or the world. There are buttons on both sides of the stroller seat that you have to press before you can lift the stroller seat up and change its direction. 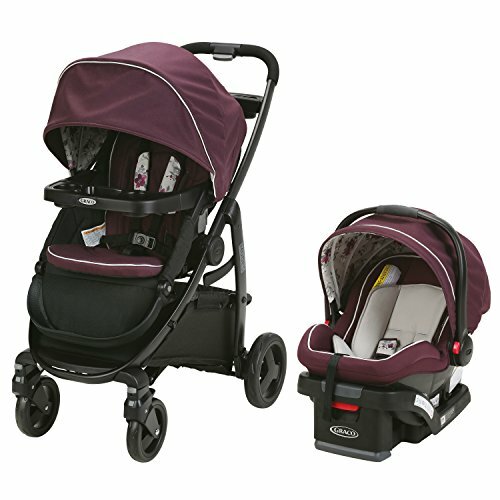 I can still remember our very first Graco reversible stroller (now Discontinued). You reverse the handle instead of taking the seat out and changing its direction. I think it’s better if the Modes stroller was designed this way too so that you can change the direction of where your child is facing even if they are already seated in the stroller seat. When your child needs to sit up, it’s good that the seat angle can almost be positioned to 90 degrees. All the down, when they need to sleep, you can get an almost 170 degrees incline as the flattest. There are two other angles that you can play with, between 90 and 170 degrees. Use them as your child prefers. Cleaning the Modes stroller seat would need you to spot clean it instead of removing the whole seat and throwing it in a washer. The stroller straps come with a 3-point and 5-point option which is easy to buckle and unbuckle. You wouldn’t be needing to buy extra shoulder pads as it is already equipped with it. To open the Graco Modes stroller, look for the lock in the handle. Slide it to unlock and push the handle down to fold the stroller. To open the stroller, unlock the locking device on the side. Grab the handle and pull it up. You’ll hear a click to know it’s fully opened up. The Modes stroller can stand on its own when folded – very convenient if you need to be hands-free. It can also be a space-saver in your limited storage space. One of the best features of the Modes stroller is its storage basket. It is long and wide. And although it is not very deep to accommodate stacks of bags, you can place 2 medium sized diaper bags side by side as well as some other small stuff, blankets, and a bobby pillow. It is angled in a way that you can easily access stuff even if the stroller seat is fully reclined. The stroller handle is padded, curved and is the single type. It is 17 inches wide. Although the handle bar’s height is not adjustable, the height of the stroller is good enough for a 5’ to 6’ height range. Anyone more than 6’ might have to hunch a bit when pushing it. The parent tray comes with two mid-sized cup-holders and a covered compartment for keys and phone in the middle. If your phone is on the bigger side (big Samsung Galaxy or big iPhones), it will not fit in the middle compartment. The child’s tray is made of a sturdy plastic that is removable. It has two cupholders on opposite sides as well as a snack/toy tray in the middle. If you are attaching a Graco infant car seat in the toddler seat, make sure that the child’s tray is properly attached to the stroller frame since it will keep the infant seat securely attached to the stroller. The leg rest is adjustable to 3 positions. The first position is all the way up. This is the angle you need if you are making a little bassinet out of the stroller seat. The second angle is straight – something you would need as your child grows bigger but their legs don’t yet need to dangle freely. The third angle is all the way down. This is when your toddler’s legs become longer. The footrest is a part of the stroller frame. It is the ‘U” shaped part of the lower front frame. 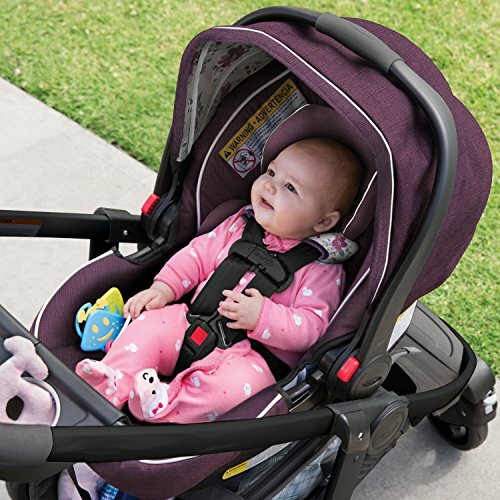 The stroller’s canopy can extend to around 120 degrees when the stroller seat is all the way down. Once you move the seat to sit all the way up, you get an almost complete canopy coverage. There is an additional visor type extension that can add to the additional protection against the rays of the sun. If you need to move the visor out of the way, just fold it so you can also see your child better when strolling around. For added ventilation, you can open the flap on top of the canopy to reveal a mesh netting peekaboo window. There is a velcro to secure it in place should you not need to make use of the peekaboo window. Most stroller’s canopy, when fully extended to meet the infant car seat canopy, both canopies would just meet in the middle. 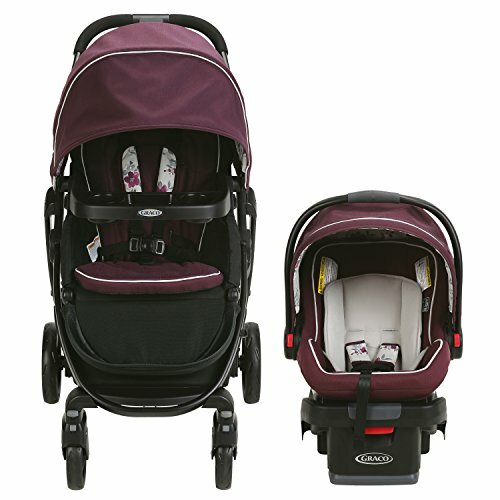 For the Graco Modes stroller, you’ll get to overlap the Mode stroller’s canopy over the Graco Click Connect 35 car seat canopy. There are four wheels that are made of both rubber and plastic. The front wheels measure 6.5 inches and can either be locked or swiveling. The rear wheels are 7.5 inches big. To enjoy strolling using the Graco Modes stroller, avoid rough and bumpy terrains. This is not a jogging stroller so best not to use it for jogging, too. 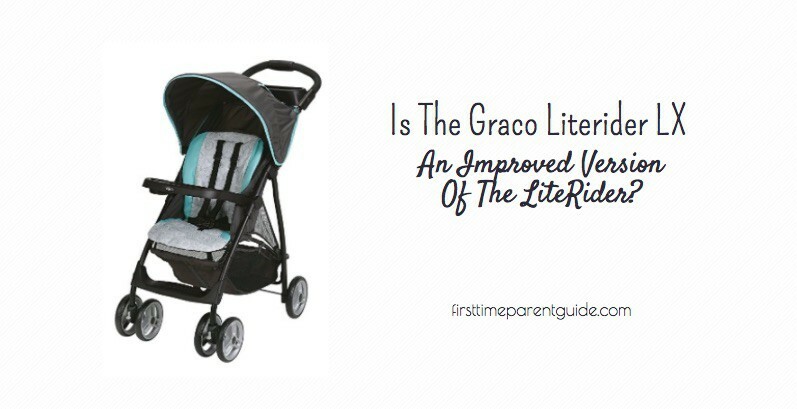 If the wheels start to squeak, Graco recommends using a light oil. There are two plastic brakes found on the rear side near the wheels. To safely park the stroller, step on both brakes to engage it. The best thing I like about the Graco Modes stroller is the ability to use the chassis only (stroller frame) during the first few months of still using an infant seat. Removing the toddler seat to make the stroller way lighter is definitely a plus especially for a mother who just had a C-Section and needs to avoid carrying heavy stuff. The generous storage basket is another plus point since it is not ideal to hang heavy stuff on the stroller handle. On the next version of the Graco Modes, I hope that Graco will improve the reversibility. I used to have a Graco stroller wherein the control to reverse the view of the passenger is on the handle. I feel it is better to make it that way so that even with the infant car seat or the toddler seat with your toddler in it is already on the go, you can instantly switch the view without the need to remove the car seat or remove the passenger first so you can change the direction of the seat view. All in all, I will definitely consider the Graco Modes stroller should I have another child again. But I will not get the combo since I know that the Graco Click Connect 35 is not the best Graco infant seat there is. I’ll either go with the Graco Click Connect 30 LX (My Review Here) or the Graco Click Connect 40 (My Review Here) and get the Graco Modes stroller separately. I highly suggest that you check out the feedbacks of parents who got this combo to help you further. What other stroller would you recommend for my 1 year old? I had this stroller and exchanged it twice due to noise in the wheels. Any other good options? Have you heard of the BOB Revolution Flex Jogging Stroller? I have reviewed it in this article and I believe it’s worth checking out. I too really love that you can replace the toddler seat with your baby’s car seat until he/she is older. 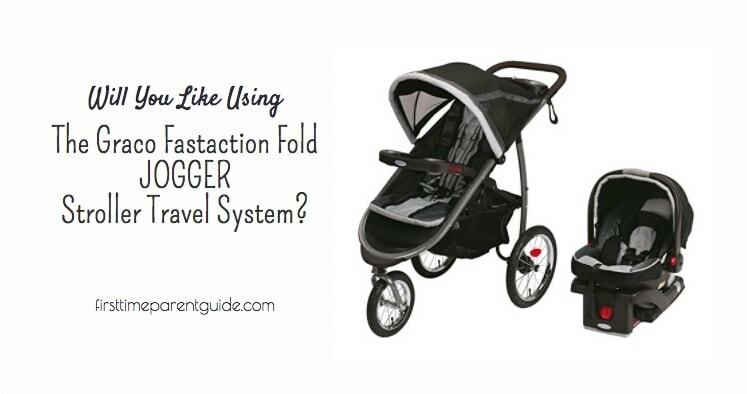 Regular stroller just doesn’t support a new baby as well as they need to without this feature. 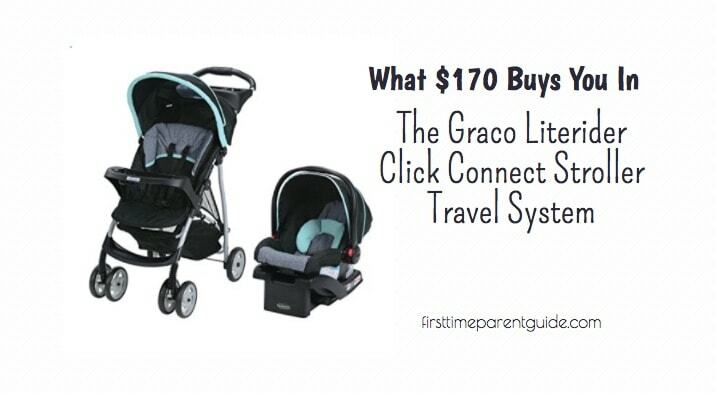 Hi Pitin, I like everything about the Graco modes travel system stroller. 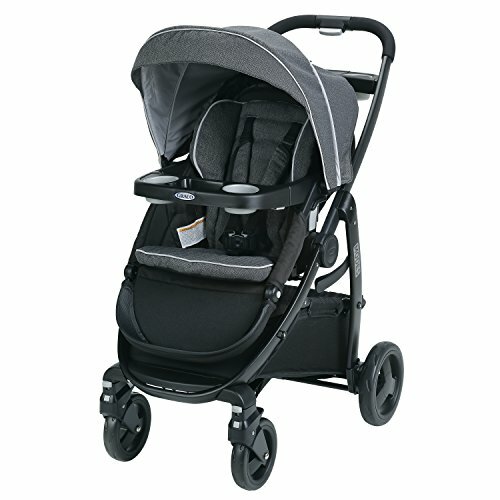 The fact that one can pull the back down and it makes it a type of bassinet even makes the stroller a winner. I do not have to worry when my baby falls asleep while on the move. The stroller can be opened and closed easily, not forgetting the fact that one can move the car seat directly into the stroller. I really like the fact that the parents needs were put into consideration when making the stroller. Thank you so much for this information! I have been looking into a different travel system for my next baby, and now I may consider this one! 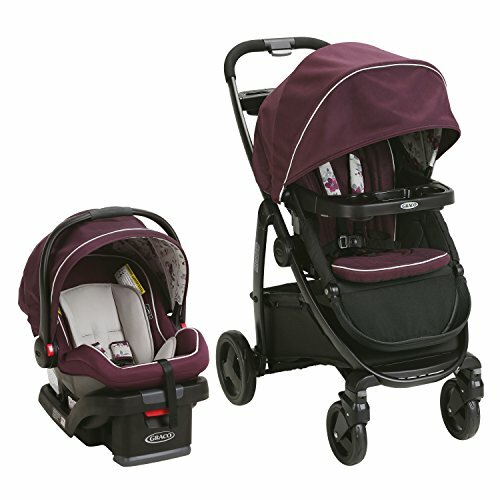 I currently have a regular Graco Click Connect stroller system (I’m not sure the exact model). The ability to move the car seat directly into the stroller without worrying about taking the baby in and out of the carseat is wonderful. However it is a bit cumbersome with the car seat on top of the stroller, so it’s really neat how this model lets you take out the actual seat part! I love that! Yup. The style is sort of the same to the high-end models such as the Uppababy strollers and the Peg Perego Book Pop Up, where the concept is just using the chassis only, for a more portable option. And all for just a fraction of their cost. I am actually a happy owner of one of the Graco Modes Travel System Strollers. I absolutely agree with you that out of all graco travel system strollers this one has the best reviews and that’s why I got it too. It is a very well designed and built stroller. I brought it with me to a long distance trip (with multiple plane changes) and had no problem to fold it and my baby was so comfortable to sleep in it at the airport (you can pull the back down and it makes it a type of bassinet look). Love it and will definitely recommend to buy! 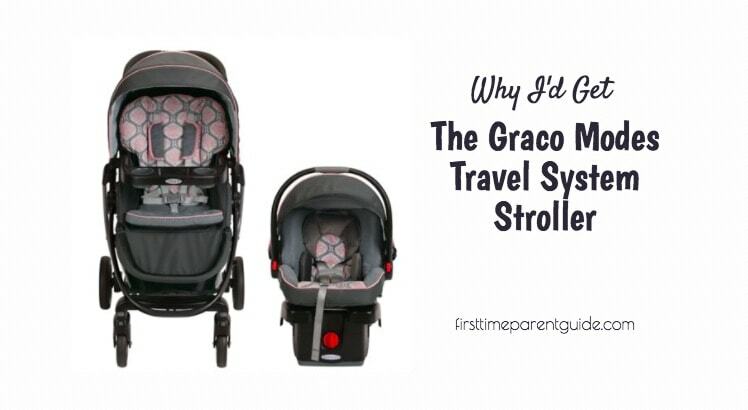 Thanks for sharing your experience with the Graco Modes travel system. 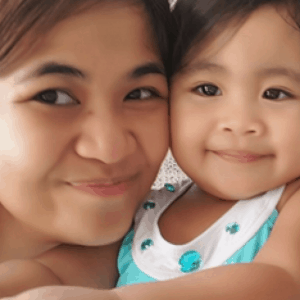 Sharing your personal experience can be reassuring to hesistant first-time parents and I’m glad you are having a good experience with them.